How Long Does It Take to Become a Firefighter in California? How Much Does a Firefighter Make in California? Firefighters are generally known to put out fires and respond to emergencies where life, property and the environment may be at risk. However, firefighters also perform a variety of other duties away from the public eye such as conducting fire drills, writing reports, etc. In short, a lot of what you would end up doing as a firefighter would depend upon your employer. There are general requirement to becoming a firefighter in the US. These can also be called minimum requirements. However, the actual admission requirements may differ from employer to employer, state to state and county to county. 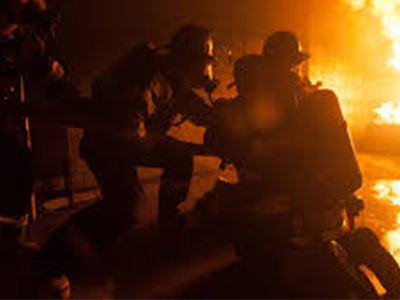 If you are interested in knowing about how to become a firefighter in the nation’s biggest state, California, then continue reading. Each of these positions will have its own set of hiring requirements. It is therefore advised that you check state of California’s official website for more details. These requirements would vary. For example, if you are interested in becoming Fire Fighter I, which is a seasonal and temporary classification, then you must be at least 18 years of age at the time of appointment. However, if you seek a permanent position with the Burbank Fire Department, then you must be at least 21 years of age at the time of appointment. Once you have fulfilled minimum requirements, you should apply. The application process itself will take a few months to complete, which includes the time from the beginning of the application process to your call for attending a fire academy. Your training at a fire academy will last for at least a few months and once you have graduated, you start to serve your probationary period. All in all, you are looking at a significant time investment before you can become a firefighter in California. Firefighting is not only fulfilling but also rewarding. According to the US Bureau of Labor Statistics (BLS), in May 2017, firefighters earned the mean annual income of $73,860 in California, which is the second highest in the US after New Jersey. However, California employs the most number of firefighters in the US. In May 2017, there were 31,150 firefighters in the state. This roughly means that one out of ten of the country’s total firefighting workforce was employed in California. According to The Mercury News, a San Jose based newspaper; firefighter’s jobs grew at the rate of 17.3 percent from 2012 to 2017. O*NET OnLine predicts that the job growth in this field from 2016 to 2026 will take place at 5 percent or approximately 2,110 new jobs will be created in California in this time period.